Sword Coin will implement a custom blockchain, allowing us to implement features specific to trading and fintech application platforms, and will be technologically tied to the award-winning Sword Capital brokerage software used in over 100 countries so that it will be available to the existing userbase of Sword Capital for use on our trading platforms. This assures a broad userbase that can make extensive usage of Sword Coin in their transaction right from the outset. Sword Capital will implement the technology to allow traders to easily and seamlessly use Sword Coin for conducting trading transactions using our existing trading platforms. In order to achieve this, the Sword Capital trading platforms will be integrated with the Sword Coin blockchain and the Sword Coin cryptocurrency exchange. Our Sword Coin integrated trading platform will be used to further develop and expand our business out of Hong Kong, where we have already established a company to focus on global business. Using sword coin for trading transactions through the Sword Capital platform will provide traders with advantages such as lower fees and other rewards. This will ensure widespread usage of Sword Coin and will also allow Sword Capital to perfect the blockchain technology for the Coin for use with trading platforms, as we have the full ecosystem for implementing and using the coin. Cryptocurrency has had a tremendous impact on the world. It is rising in popularity and provides people with new ways for transferring value. Bitcoin provided the first peer-to-peer electronic cash allowing online payments to be sent directly from one party to another without going through a financial institution, using cryptography to achieve a trust free, decentralized system. Ethereum provided a blockchain platform for developing decentralized apps and multiple cryptocurrency tokens based on the Ethereum blockchain, sparking the growth of the industry by allowing people to rapidly create cryptocurrency tokens. Since then, over a thousand cryptocurrency tokens have been created and there are projects the world over working actively on creating many more. Despite increasing popularity and usage, cryptocurrencies continue to face several issues and impediments to widespread usage. Cryptocurrencies continue to remain extremely volatile with their value changing rapidly not just day to day but even every minute. 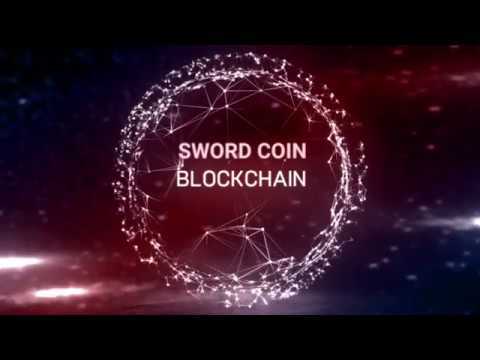 Sword Capital is solving this combination of issues for cryptocurrencies while also providing technological innovation by developing Sword Coin. Sword Capital is a leading global brokerage and investment management firm that provides award winning technology platforms for trading in over 100 global markets. Thousands of people use the sword capital trading platforms on a daily basis, conducting billions of dollars of transactions every month. Sword Coin will be a customized cryptocurrency that is designed to be suitable for widespread usage, brokerage applications and investment management. Every referral will earn 2% the invested amount by the referred investor Sword Coin will pay your commission instantly in real time for each trading that your referee completes. Duplicate, fake and shared referrals will be disqualified and won't earn any bonus. There is no limit when it comes to referring people. Also there is no limit in earning commission. You can refer as much and earn as much. Sword Coin ICO reached Softcap of $1 Million in 48 hours!